First “real” ride of the year! 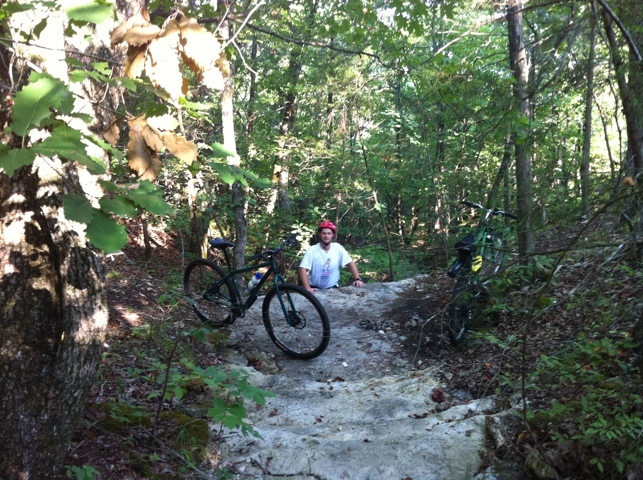 Aaron and I finally got in a “real” ride today. We had tried to get in a ride about a month, or so, ago, but my “hillbilly tubeless” setup failed, and the front tire wouldn’t hold air. After that ride, I changed out my setup, and it is working great. After the ride today, I decided I need to do the same on the rear, as it is only holding about 20lbs. 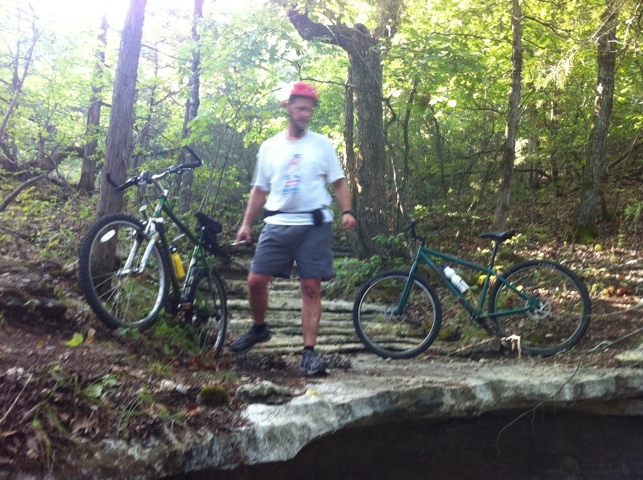 I FINALLY talked Aaron into heading to Branson, to ride the White River Valley Trail. 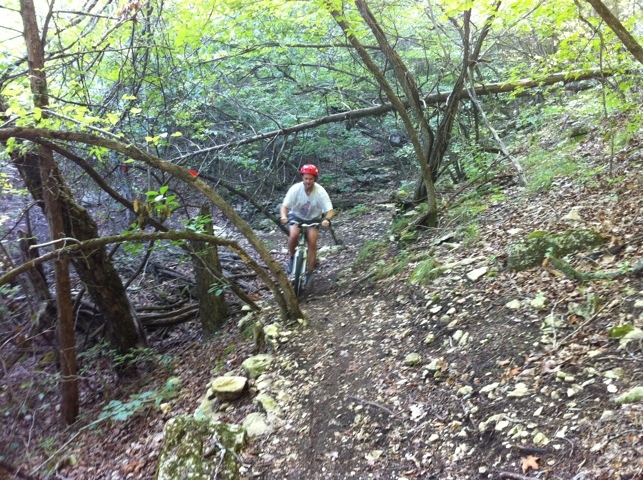 We started on the green loop, and rode most of it, when we realized we wanted to take the cutoff over to the orange loop, so we backtracked to the cutoff trail. Then we took the eastern side of the Orange loop and over to the north side of the blue loop. Due to time constraints, we bailed out to the access road and took the highway back over to the truck. Wound up making it back to the truck within 2 minutes of the “planned” time, so that was a good thing. 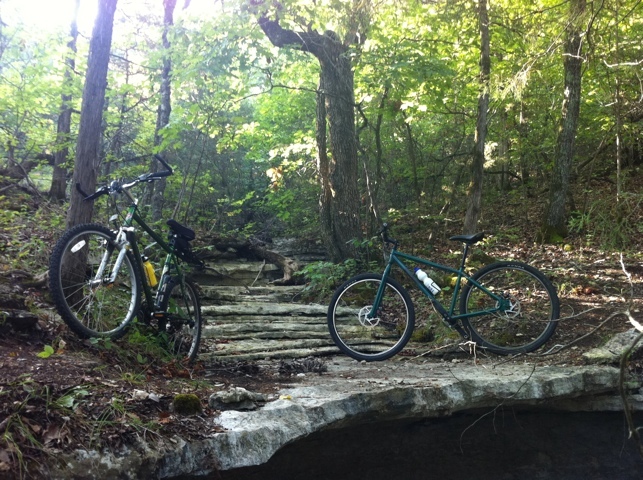 Anyway…here’s a few pictures of a neat spot on the orange loop. I hadn’t ever been on either, the green or orange loops, so it was a fun adventure.